Norway’s decision to expel a Chinese researcher on “national security” grounds keeps Sino-Norwegian relations cool. The strange saga of China’s ongoing quarrel with Norway continues. 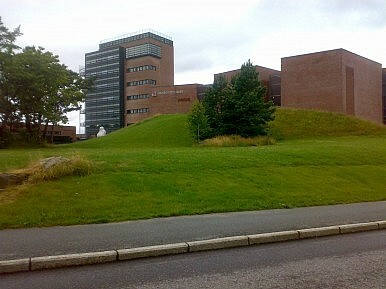 On January 23, two researchers at the University of Agder in Southern Norway, one Chinese and one non-specified “European,” were expelled from the country after being accused of being a “risk to national security.” Although no details have been offered by the Norwegian Police Security Service (PST), the two scholars were apparently affiliated with an unnamed Chinese university with close connections to the People’s Liberation Army. According to the Norwegian state media, the two men were working on wind-power, which can be applied to the development of advanced weapons technology, notably missiles. Sino-Norwegian relations were frosty enough before the current incident. The two states have been involved in a five-year quarrel, ever since the non-governmental Nobel Committee awarded the Chinese human rights activist Liu Xiaobo the 2010 Nobel Peace Prize. Beijing suspended meetings with Norwegian officials, unofficially imposed some (mostly symbolic) economic sanctions, notably on highly prized Norwegian salmon, and generally made life difficult for Norwegians attempting to apply for visas to travel to China. Norwegians were even awarded the dubious honor of being put on a list of “low quality and badly behaved people” at Chinese airports. Instead of slowly improving, which has been the stated goal of the Norwegian government since 2010, Sino-Norwegian ties have continued to worsen. This has not been for a lack of trying from the Norwegian side. Oslo allowed China to join the Arctic Council as an observer member in 2013 and refused to officially receive the Dalai Lama last year. This has so far done little to soothe Beijing’s anger. Common economic and political sense dictates that this hostility is rather counter-productive. Despite their political and cultural differences, as well as the vast distance that separate them, the two states potentially have much to gain from rebuilding relations. There are approximately 220 Norwegian companies present in China — compared to 900 and 500 respectively from Norway’s neighbors Sweden and Denmark. Norwegian competence with offshore technology, shipbuilding, and fisheries could and should be in high demand in food- and energy-hungry China. However, Norwegian companies have complained that they are at a disadvantage in the Chinese market due to the political tensions between Oslo and Beijing. Perhaps most important is the two states’ shared interest in the Arctic. Beijing’s only Arctic research station is located in Norway’s Svalbard Archipelago, and China is increasingly becoming involved in the region due to its economic and geostrategic significance. This is not least due to the possibility of a viable Northern Sea route (part of the Northeast Passage), which could save the time it takes to ship goods and resources from the Pacific to Europe by up to 30 percent. Norway is a key player in the Arctic, and geography dictates that Chinese shipping will have to pass through Norwegian territorial waters, possibly calling on Norwegian ports and emergency response facilities. While the PST almost certainly expelled the two researchers on the basis of solid evidence, it is unlikely the decision was made without the consent of political authorities. Whether this represents a shift in the Norwegian government’s attitude toward Beijing’s intransigence, or is simply a result of standard counter-espionage practice is still unclear. What is apparent, however, is that the strange quarrel between two of the world’s most dissimilar states is far from over. Benjamin David Baker is an advisor at the International Law and Policy Institute, a private research institute and policy advisory based in Oslo, Norway. He is currently serving as a reserve intelligence officer in the Norwegian armed forces. A former U.S. military intelligence officer has plead guilty to attempted espionage charges.